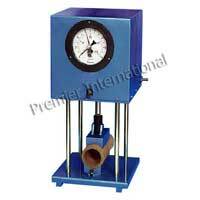 The Paper Core Compression Strength Tester manufactured and supplied by us has got wide appreciation in the market for its superior quality and durability. Manufactured using finest quality material and latest technology the Paper Core Compression Strength Tester offered by us is available in various different models. 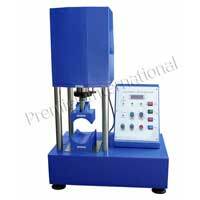 We manufacture and supply Pneumatically Operated Paper Core Compression Strength Tester which is used for testing the core collapsing strength. It has adjustable testing area to accommodate specimen sizes and shapes. It is pneumatically operated piston to apply the pressure. Maximum pressure to crush the test sample recorded on a gauge with peak pointer.